Great for snipping thread or yarn. Small, compact, and comes with safe cover for traveling in your craft bag, or purse. This Listing is for one pair of scissors, colors vary and we'll pick the best one for you! Super Small, Very Precise, and Safe for traveling and these are allowed on airplanes. 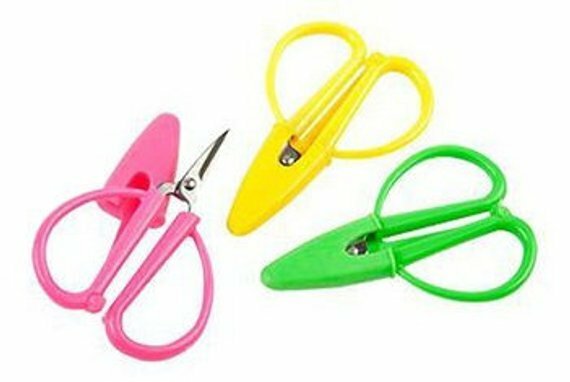 These fun mini snips are great for snipping loose threads, woven labels, cording, elastics and pretty much anything else!!! They come with a safety cover so it won't damage your bag or purse. Colors Vary and we'll pick the best one for you!